Sales Manager needed to lead the UK & Ireland for a World Leader in the power transmission products and technologies sector. 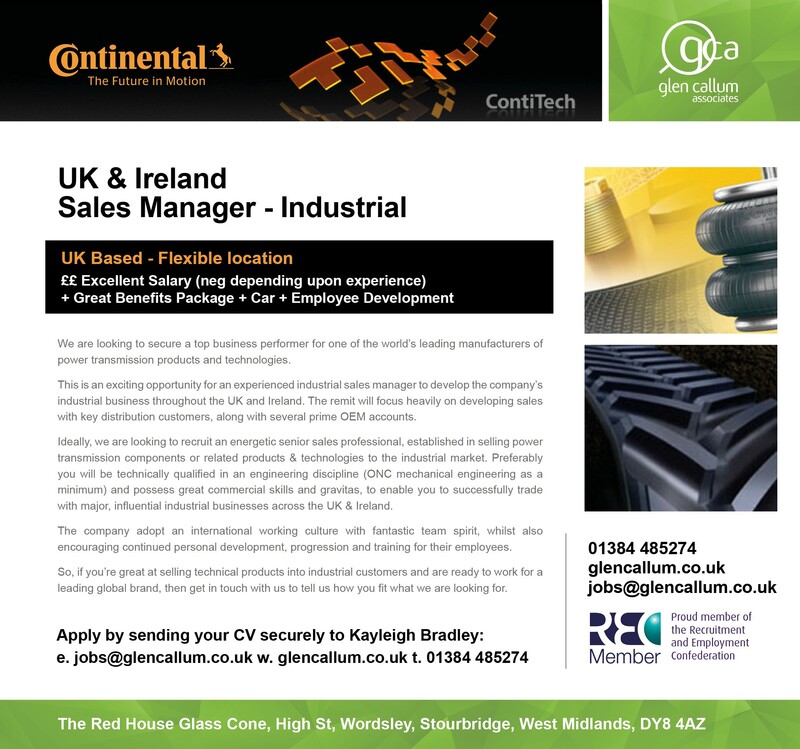 Here at Glen Callum we are proud to announce we are exclusively working with Contitech, part of the Continental group, whom are seeking an experienced industrial sales manager for the UK and Ireland. Contitech are one of the world leaders in power transmission products and technologies and are part of the world-famous automotive Continental group, whom are located in more than 57 countries worldwide. We are working exclusively with Contitech to find an energetic and established senior sales professional with key experience of selling power transmission components or related products into the industrial market to lead the sales activities of the company. The role will offer a fantastic working culture with worldwide opportunities for personal and career development, as well as the chance to work with one of the most prestigious names in the automotive arena. The full branded advert is below, to apply for this role please click here. 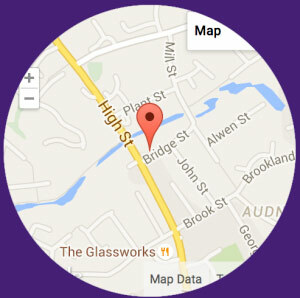 https://glencallum.co.uk/wp-content/uploads/2018/03/Untitled-4.png 191 206 gcadmin https://glencallum.co.uk/wp-content/uploads/2018/10/gcalogosm.jpg gcadmin2018-05-30 11:55:252018-12-19 17:15:01Sales Manager needed to lead the UK & Ireland for a World Leader in the power transmission products and technologies sector.